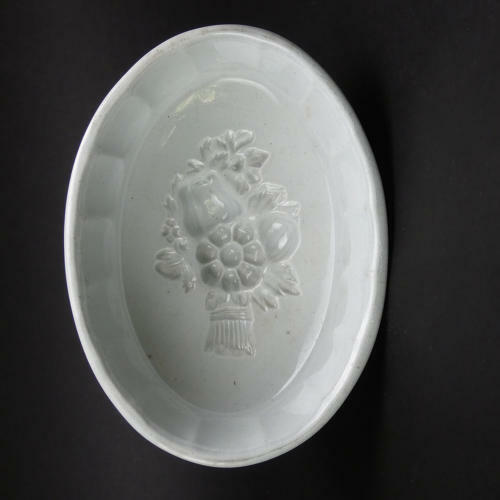 A large ironstone mould with a bouquet of flowers to the base. This piece is unmarked but it dates from c.1850. The body of the mould has a blue glaze, more like that found on pearlware. The design is well detailed and the mould has fluted sides. It is in very good condition. Due to the relative simplicity of the mould it would turn out well, with a very positive image.